♫♫♫ Don't stop the party! It's time to Muxic with Xplay and party with 15 hottest female DJs all over the world from Italy, Ukraine, Thailand, Singapore, as well as our homegrown DJs. 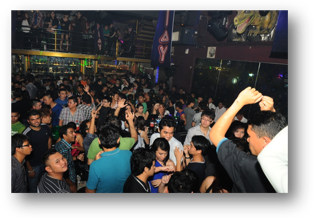 Explosive XPLAY parties hit Melaka and Kuching last weekend. Both Mixx Club and Rush Artistry were jam packed with party animals and XPLAY promise the next upcoming parties are just gonna be better and better! Next stop, XPLAY is heading back to KL! One of the sexiest Italian DJs who know how to drop the right record at the right time! 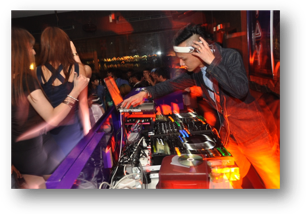 Indonesian DJ who plays beats from various genres. She masters her DJ skills right from the age of 19, impressive!!! 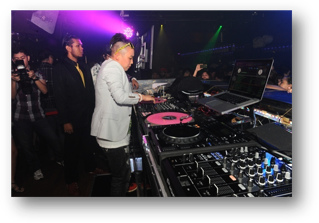 Began spinning at aged 19 and rocks clubs in KL! Still proven you not enough to join us? Alright, let check out some of the crazy awesome pictures from last year parties at Sunway, JB, KK and Penang, bringing hot local, regional and even international acts together. Good enough to join us this year i bet!! The best thing about these awesome parties is that you can get in and party with us for FREE! Who don't love free stuff, lol! Check out http://bit.ly/XPlay2012, sign up and get your FREE invites. Once done, print and show your email invite at the entrance to gain FREE admission. Wanna make your party experience even MORE awesome, on the event day (1 December), make sure you check out http://bit.ly/XPlay2012 again to unlock special privileges such as free drink vouchers, a chance to meet the DJs up-close and personal plus loads of other freebies which are exclusive only for the event day itself. I've just signed up for the free tix at www.xpax.com.my/xplay.php. So if you want to party with me, you better check it out NOW! I know you wouldn't want to party alone at this exclusive clubbing experience. Now you can Party VXP STYLE with 10 of your friends. 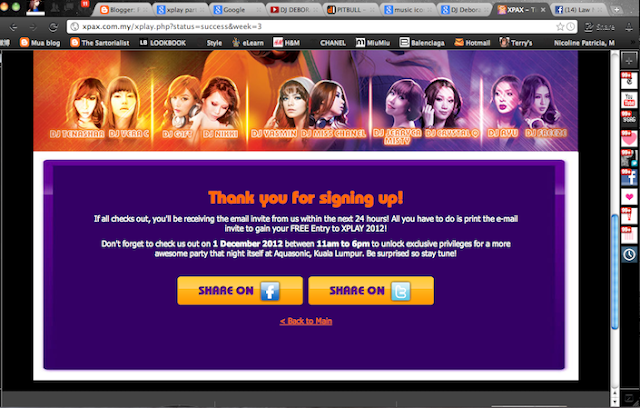 Just send XPLAY to 22188 and reload RM50 before 30 November 2012 to grab these passes. Also to get the party started, dial *888# and download "Xplay Best in Dance" Call Me Tones on The Cube, available from 15 November 2012 - 31 December 2012. This party is brought to you by Celcom. More details on www.xpax.com.my.